Complete bolt kit for mounting 72CKS6 Aluminum Propellers . 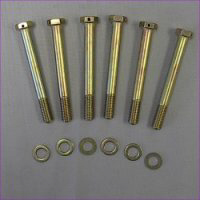 Includes (6) AN6H-55AS bolts with special thread length and (6) washers. Select your options below and add the item to your 'Request for Quote' list. View your list to submit your request for quote.